Hello, I am contacting you on behalf of the Brotherhood of Odin, a Steam based gaming community. 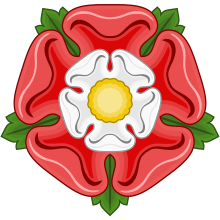 I am personally attempting to start our own War of the Roses group and are looking for others to play against or, possibly, to form an alliance with. I have spoken with [IG] Aeronwen and he has referred me to this forum. I highly suggest giving him some kind of promotion or something ha ha. He gave me a great impression on your community. Currently, I am still trying to figure everything out in my community but wanted to get a head start on finding others to play with and against. Hopefully we can work something out if I can get this together in my community. Again, I must thank [IG] Aeronwen for helping me get into contact with you. Hello and welcome to our forums. Let us know when you have created your WotR group. Once you have a rough idea of how many players you could field (and we have an idea how many we can field), we should ge together to scrim. After that we can think about an alliance. PS: Aeronwen is a she. That sounds great! I can't wait to get into some epic battles! Oh, hah, my apologies. Well she is a great asset to the Guard of Istiniar. I follow The Brotherhood of Odin (WotR) all the time.